The John Hunter Hospital Stroke Unit and Acute Stroke Research Group were founded in 1999 and the group is now nationally and internationally recognised as leaders in the development of new strategies in acute stroke imaging and therapies. Activities span from experimental laboratory research through to community-based studies and health systems implementation. The generation of new knowledge and its translation to improve health care outcomes for stroke sufferers is being realised with the Hunter now being one of the international leading sites for implementation of clot busting therapies for stroke. When I began my clinical career in neurology there were no effective acute stroke therapies. The pressing need to be able to help acute stroke sufferers drove my interest in both the discovery of new treatments and the translation of those treatments into the real world of clinical care. To provide the best, most advanced research based clinical care for acute stroke sufferers and to discover and implement new ways of preventing stroke. Conjoint Professor Chris Levi is the Director of Clinical Research and Translation - Research Innovation and Partnerships and Co-Director of Acute Stroke Services at John Hunter Hospital, Hunter New England Local Health District. He has a clinical and research passion for improving outcomes of patients who are affected by stroke and Transient Ischemic Attacks (TIA). Stroke is the leading cause of long term adult disability and is the second leading cause of death, both in Australia and globally. 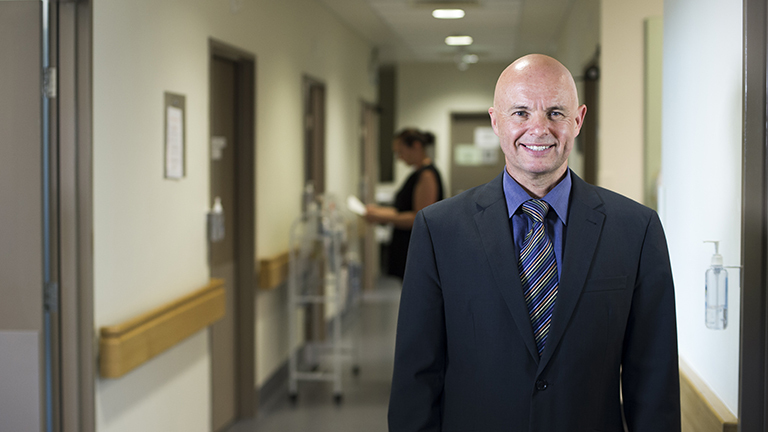 Professor Levi is part of a world-recognised team who are working to transform the clinical treatment of stroke and give the 50,000 Australians who are affected each year a better recovery. Since arriving back in Newcastle in 1999 to establish the John Hunter Hospital Stroke Unit and Research Group, Professor Levi has made a number of ground-breaking discoveries and led prestigious clinical trials and studies. One of the major advances in recent years is the trial of the new clot-busting drug for treatment of stroke called Tenecteplase, co-led by Professor Chris Levi and Professor Mark Parsons. Professor Levi is also researching a number of other aspects of stroke to try and improve outcomes for patients. He is investigating genetic factors that may predispose someone to having a stroke so that it can hopefully be prevented and treatment can be tailored accordingly. Optimising the triage protocol for stroke patients so that they receive the right care straight away is another important aspect of research and evidence based practice for Professor Levi and his team. Many treatments for stroke are highly dependent on the time at which they are administered after the onset of stroke and therefore an effective triage strategy could make all the different for a patient. Thanks to initiatives such as this, Newcastle is far above the national average in treatment times for stroke patients, raising the bar from approximately 5 per cent of patients around the country that are treated in time to receive clot-busting drugs to around 20-30 per cent in Newcastle. Professor Levi is a highly respected clinical researcher with >250 peer-reviewed publications and over 160 invited talks and sessions chaired at major national and international meetings, as well as extensive experience serving on steering committees of major clinical trials. His strong international reputation is supported by publications in preeminent journals such as Nature Genetics, New England Journal of Medicine and The Lancet.